I have good news for you if you have been looking for information on how to make oatmeal on the stove. I made a video for you! In the video, I step through the basic ingredients, cooking tips, and share a simple topping idea (also noted in the below basic stovetop oatmeal recipe at the end of this post). Additionally, some of you may be interested in exactly how long stovetop oatmeal takes to make. In the video, I actually set a stopwatch and check in a couple times to show you how the stovetop oatmeal thickens up over time. And when it’s ready. Oh, and the recipe is written to make stovetop oatmeal for one. But you can easily multiple the amounts to serve more! 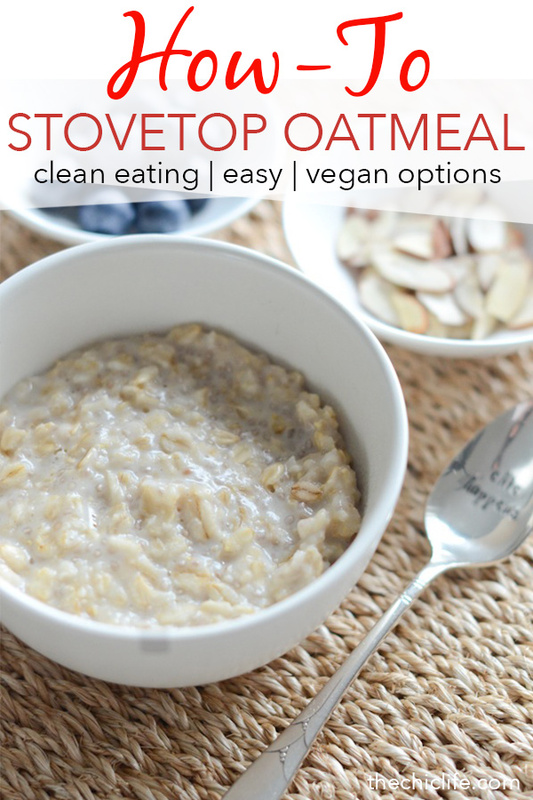 If the above video player doesn’t work, click here to view my how to make oatmeal on the stove video. 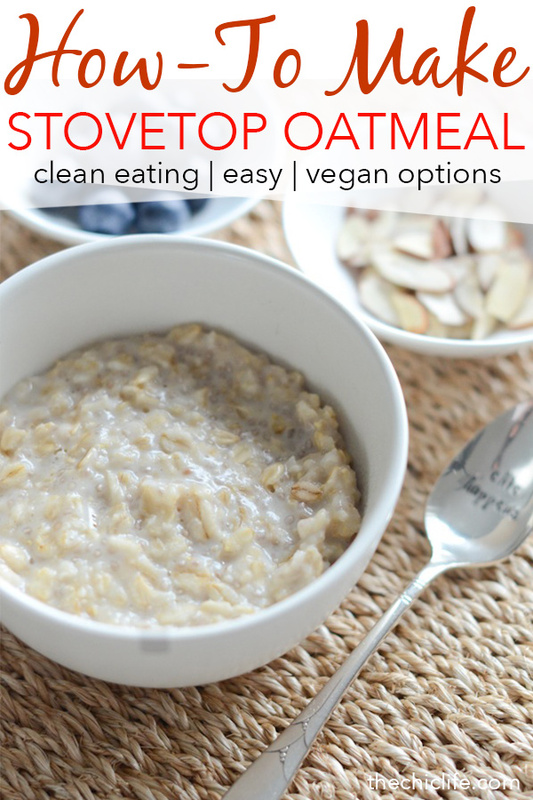 Be sure to scroll to the end of this post for a basic stovetop oatmeal recipe. What’s the Right Ratio for Stovetop Oatmeal? How much rolled oats to use? If I’m not too hungry, I can be satisfied with 1/4 cup oats. But mind you, I like to put a good amount of toppings on my bowls of oatmeal. I believe the serving size suggestion on the side of most containers of oats is 1/2 cup. But experiment around and see what works best for you. Multiply as needed if you’re making oatmeal for more than one person. 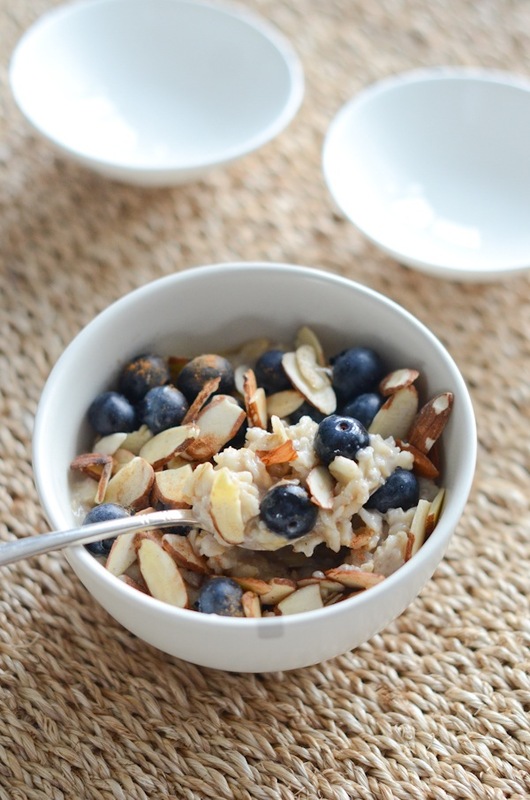 This basic rolled oats oatmeal recipe for one is meant to be a foundation for your future oatmeal bowls. Start with this and mix in your favorite flavors. If you’re not feeling creative, check out the links at the end of this post for more ideas. There are some simple toppings on this one to get you started. In a small non-stick pot, combine oats, milk, water, chia seeds, honey, and salt and stir together. Turn heat to medium low and cook the oats, stirring occasionally, until the mixture reaches your desired texture, approximately 5-7 minutes (depending on your preference and heat of stove). 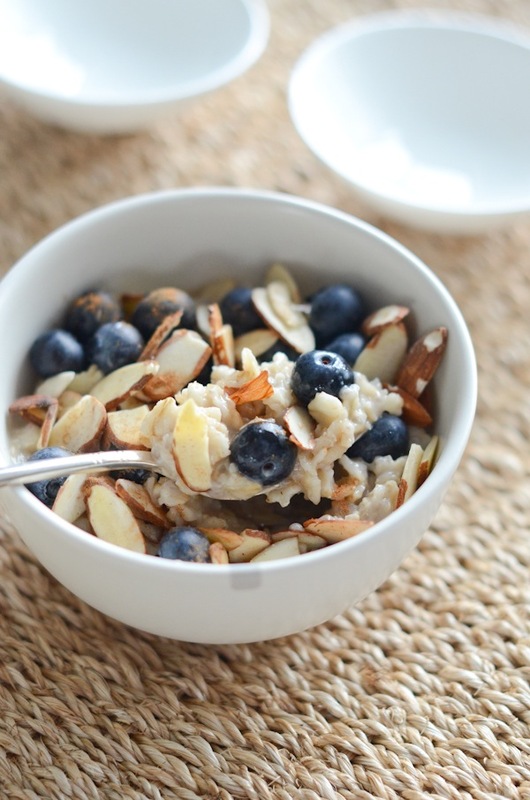 Serve and top with blueberries, almonds, a drizzle of honey, and cinnamon. Add any additional toppings of choice. Enjoy! This recipe is designed for one serving. But you can easily multiply as needed. Thanks for reading! 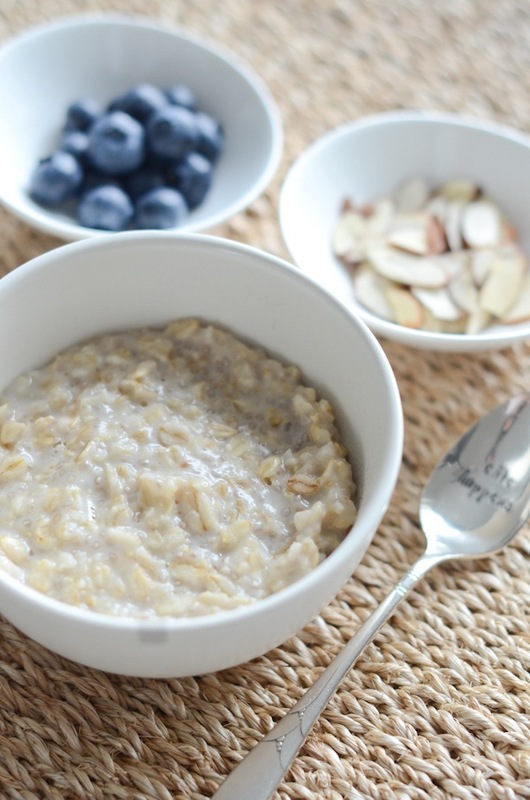 Hope you enjoyed this post on how to make oatmeal on the stove and basic recipe!